fees pro-rated accordingly for longer or shorter terms. We understand that family time is precious and family activities can be hard to find, especially for families with more than one child. That’s where our Family Time Class comes in. With me there to guide you and everyone in the class able to learn from each other, your weekly Family Time Class transforms into a unique haven of memorable “together time” where you can truly focus on your children without all the distractions of the week. You'll also find that this special time in class inspires more music, play, and bonding at home throughout the week. Each Family Time Class is a happy shared experience full of singing, moving, cuddling, family jams, and more. You’ll love the time to explore, discover, share, make friends, and just be together as you learn and play together. From newborn to Grandpa and everyone in between, there’s room in our Family Time Class for everyone! In a multi-age class, all levels of learning and musical interest are accommodated with tips and ideas that allow you to customise the experience for each of your children. A Family Time Class opens the door for learning and music-making in new ways that are possible only in a mixed-age environment. It's a truly wonderful experience for the whole family. Special family events and class celebrations! Language Development – Opportunities for making conversation, playing with words, and modelling good communication skills abound in a class where discovery and exploration is encouraged and fostered. Being together as a family is sure to provide lots of opportunity to talk and to share, both important aspects of language development at any stage. Vocal Development – Singing in the appropriate vocal range means that toddlers and preschoolers begin to explore their voices and emerging pitch accuracy. But it goes beyond just building strong singers. Singing develops memory and recall, lung and cardiovascular strength, as well as creativity, and socialization. Simply hearing those voices also helps a baby develop their own vocal skills. Cognitive Development – A multi-age classroom means a multi-layered learning environment where children can learn from their peers, from the older children in the class, from me their teacher, from other parents in the class, and from you, their most important teacher. Gross Motor Skills – We’ll help you find so many ways to move with your children, from bouncing the little ones to skipping with the older ones to playing with hoops and scarves. And each family member benefits from having his or her sense of balance strengthened as you rock and dance together. 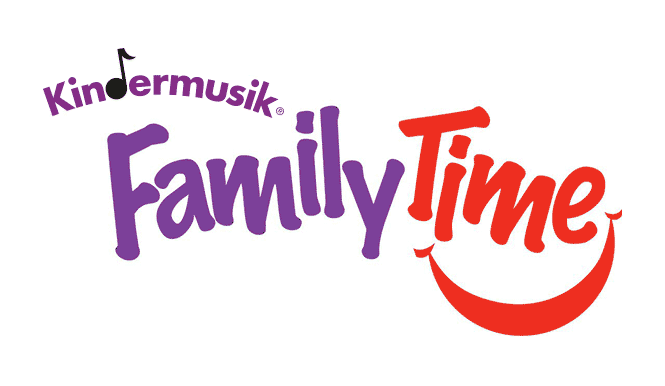 Fine Motor Skills – During our family jam, everyone grabs an instrument and plays along! I have age-appropriate instruments that will help develop those fine motor skills, no matter what your child's experience or ability level. Social Emotional Development – Families who laugh and play together form closer ties and stronger bonds with each other. Self-confidence, positive self-esteem, and emotional health are rooted in the happy memories of shared childhood experiences. I promise lots of happy moments, smiles, giggles and hugs in our Family Time Classes! Musical Development – Every element of music is found in a Family Time Class, from singing to dancing to listening to playing instruments. You and your children will develop a greater sense of rhythm and joy in singing. There’s nothing quite like making music together as a family!